Reliance Fresh, a unit of Reliance Retail India Ltd, today launched “Dairy Pure” brand of milk. The product is initially launched in Hyderabad and will be rolled out to other cities soon. The pricing of the milk has been competitive to take on other well established players such as “Mother Dairy and “Vijaya”. It will not be an easy cake walk for Reliance Retail to establish its Dairy Pure brand because it will face tough competition from regional brands. Also we already know that Amul is expanding its stores on a war footing and has a fantastic market share with high quality dairy products. Reliance Retail is building its massive Dairy and Food Processing Hubs in Punjab and Haryana. We checked the price and it costs Rs 18 / Litre of Dairy Pure Milk in Reliance Fresh, Hyderabad. I would like to inform you that, I am intrested for taking distributership of Reliance Milk in Mumbai, so kindly contact me. I would like to inform you that, I am interested for taking distributorship of Reliance Milk in Haryana, so kindly contact me. I am interested for taking distributorship in dehradun (uttranchal) of Reliance Milk. 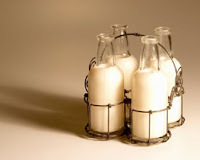 We have business in dehradun and looking for the distributorship of reliance milk. If some possibilities is there pls contact ASAP.